When it comes to beautiful classical music, there’s a lot to choose from. From slow and melodic to fast and memorable, there’s something out there for everyone. Only a select few pieces, however, rise to the level of being so beautiful they bring tears and touch the soul. If that is what you are searching for, consider our list of top 20 heart-wrenching, moving classical music pieces below. The “Pas de Deux” is a visually stunning part of the ballet The Nutcracker. And it is no surprise that the beauty of the two solo dancers is complemented by a powerful and expressive melody. It begins with a soulful cello melody and builds from there. Fans of the movie “Somewhere in Time” and those who have seen “Groundhog Day” will instantly recognize this lyrical melody. The variations overall, including the 18th, have become more famous than the Paganini tune they are based on. The second movement of Dvořák’s 9th Symphony (the Largo) has often been described as surreal and sublime. While the melody is seemingly simple, it evokes feelings of reminiscence like no other piece. It is, at times, nostalgic with a lamenting, longing tone. With a title that translates to “Oh my dear daddy”, you can only imagine that this is a song filled with emotion. “O Mio Babbino Caro” is a soprano aria from Puccini’s opera Gianni Schicchi sung at the point when tensions are so high that they threaten to separate the singer, Lauretta, and the boy she loves, Rinuccio, forever. Adagio for Strings is arguably Samuel Barber’s best known work. It was arranged for string orchestra from the second movement of his String Quartet Op 11. It has been written that it is “full of pathos and cathartic passion” that “rarely leaves a dry eye”. It has been played at funerals and memorials and in 2004 was voted the “saddest classical” work ever by the BBC’s Today program. Hans Zimmer’s “Chevaliers De Sangreal” is arguably not classical, but a film score. Still, it is perfect for this list. The gradual crescendo that builds anticipation is the backdrop for the end of The Da Vinci Code when Robert Langdon realizes the truth about Mary Magdalene’s tomb. Sorry…no spoilers here. The point at which the music hits its climax is the moment Langdon reaches the spot and kneels. Jocelyn may not be among the most recognized operas, but the “Berceuse” from it remains the most enduring of Godard’s compositions. It was originally sung by a tenor, but it has been recorded by other instruments including Pablo Casals on cello. The “Adagio cantabile” from Beethoven’s Piano Sonata No. 8 (Pathétique) was used as the theme music for the radio program Adventures in Good Music from 1970 to 2007. The sonata overall is among Beethoven’s most popular piano works. The theme to an intensely emotional movie like Schindler’s List will, of course, also evoke tears and heart-wrenching feelings. The original score and recording features violinist Itzhak Perlman and won numerous awards including an Academy Award for Best Original Score. With such a beautiful aria, it’s interesting that Handel’s opera Xerxes was a failure. The area was resurrected 100 years later and is typically performed at solemn occasions. Although it was originally sung, it has been arranged for all sorts of instruments and voices. One of Debussy’s most recognizable works, “Clair de Lune” is actually the third movement of his Suite bergamasque written for piano. It has since been arranged for orchestra and numerous instruments and is prominently featured in both the movie Ocean’s 11 and as background music for the Bellagio fountains in Las Vegas. Elgar’s Cello Concerto is his last notable work and a cornerstone of solo repertoire for any serious cellist. The first movement is filled with passion and it is hard to find a more expressive and passionate recording than that of Jacqueline du Pré. One of the best-known tenor arias in all of opera, Nessun Dorma was popularized worldwide by Luciano Pavarotti who performed it for the 1990 World Cup, captivating a global audience. It was played at his funeral in 2013. Mozart’s Requiem is full of emotional and intense moments especially in places like the “Dies irae” and the “Lacrimosa”. Sadly, the “Lacrimosa” was incomplete due to Mozart’s death and was finished by Franz Xaver Süssmayr. Originally composed by Gounod for voice as “Jesus de Nazareth”, it was recorded by Mantovani & His Orchestra for Christmas albums and titled “Nazareth”. This Italian song was originally performed in 1995 by Andrea Bocelli at the Sanremo Festival. This second version was released in 1996 sung partly in English with Sarah Brightman. Lushly romantic, “The Swan” is another staple in cello repertoire. The cello solo is said to represent a swan gliding elegantly over the water while the piano is the swan’s feet beneath the surface. The “Meditation” is played during a time of reflection in Act II of the opera Thaïs. It is considered one of the great encore pieces and has been performed by all the great violin soloists. Mahler’s Symphony No. 9 was his last symphony. He died without ever hearing it performed. The final movement is often interpreted as the composer’s farewell to the world since it was composed after the diagnosis of his fatal heart disease. Tired of the usual Christmas carols on the radio? 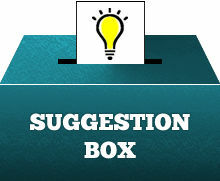 Have you heard Sleigh Ride or Winter Wonderland one too many times this season? 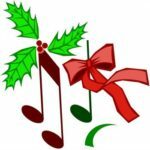 Then check out our list of uncommon classical Christmas music including rare choral pieces and obscure symphonic compositions. Past Three O’Clock is loosely based on the traditional cry of the city night watchman. It was written by George Ratcliffe Woodward and published in 1924. Although it has been recorded by a number of choirs including the Choir of King’s College and Cambridge, it doesn’t typically make the cut among popular music artists. In Terra Pax was one of the last pieces British composer Gerald Finzi wrote. It was composed in 1954 and was set to the words of a poem entitled “Noel: Christmas Eve, 1913” by Robert Bridges. Finzi explained that the work is the Nativity story becoming a vision seen by “a wanderer on a dark and frosty Christmas Eve in our own familiar landscape”. Like his other works, it has hints of inspiration from other British composers like Elgar and Vaughan Williams. Although it has crossed into some popular music recordings, Riu Riu Chiu remains relatively unknown by most. Sometimes attributed to Mateo Flecha the Elder who died in 1553, the basic theme of the song is the nativity of Christ and the immaculate Conception. The words “ríu ríu chíu” are nonsense syllables that represent the call of the kingfisher. Samuel Coleridge-Taylor was a British composer of African descent. His father was a Sierra Leone Creole physician. His mother, an Englishwoman. He showed promise at an early age as a violinist and then as a composer. He became fairly well-known in England as well as in the US where he was dubbed the “African Mahler”. His Christmas Overture was derived from The Forest of Wild Thyme and arranged by Sydney Barnes after Coleridge-Taylor’s death. In it, you’ll hear familiar tunes like “God Rest Ye Merry Gentlemen”, “Good King Wenceslaus”, and “Hark the Herald Angels Sing”. Another medieval carol, Gaudete or Gaudete, Christus est natus is a sacred Christmas song that was published in 1582. When it was published, no music was given for the verses, but it is typically sung to a tune that comes from older liturgical books. The title translates as “Rejoice, rejoice! Christ has born”. Victor Hely-Hutchinson was a British composer born in Cape Town, Cape Colony (now South Africa). His best known work is his Carol Symphony – a four movement work that incorporates several well-known Christmas carols. The first movement is based on O Come All Ye Faithful. The second is a scherzo on God Rest Ye Merry Gentlemen. The third is a slow movement loosely based on both the Coventry Carol and The First Noel. And the finale incorporates Here We Come A-Wassailing and O Come All Ye Faithful again. Another English composer, Delius is best known for lyrical music influenced by other European composers like Edvard Grieg and Richard Wagner as well as music he heard while in America. His Winter Night is an atmospheric portrayal of a moonlit, snowy sleigh ride complete with sleigh bells. The “Wassail Song” is part of Vaughan Williams’ Five English Folk Songs, a transcription of melodies from England’s vast vocal tradition of folk music. It was written in 1913 with cheer and charm to end the collection of five songs. William Henry Fry holds the distinction of being the first composer born in the United States to write for a large symphony orchestra. His Santa Claus Symphony was written in 1853 and was very well received by audiences. It may be the first orchestral use of the saxophone which was invented just barely a decade before. Handel’s “Messiah” is one of the most widely played pieces during the Christmas season and certainly the most popular oratorio (a musical composition for orchestra, choir, and soloists). It’s also, however, the subject of a wide variety of myths, misconceptions, and questions ranging from things as simple as its title to why we stand during the famous “Hallelujah” chorus. Let’s take a moment to explore answers to these key frequently asked questions about “Messiah”. 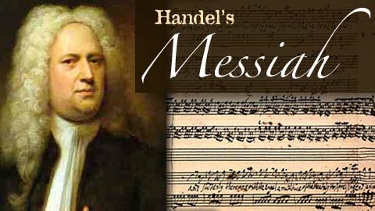 Handel’s “Messiah” is a large work for orchestra, choir, and solo singers called an oratorio. It was composed in 1741 and is typically performed around Christmas. The most famous part is the “Hallelujah” chorus which has been used in popular culture in movies, cartoons, and even commercials. While many people refer to it as “The Messiah”, its official name is just “Messiah”. What is the story of Handel’s Messiah? It doesn’t tell story. Instead, the libretto, written by Charles Jennens, is a series of contemplations on the Christian theme of redemption through the life of Christ. The work is in 3 parts: the first part foretells Jesus’ birth and the Christmas story, the second part leads up to and includes the crucifixion, and the third part talks about the spread of Christianity and eternal life. Interestingly, despite its Christian message, most of the text is from the Old Testament. Where was Handel’s Messiah first performed? Contrary to myths about London, it was actually first performed on April 13, 1742 in Dublin, Ireland as a charity concert benefiting three charities: prisoners’ debt relief, the Mercers Hospital and the Charitable Infirmary. Handel sought and was given permission from St. Patrick’s and Christ Church cathedrals to use their choirs and he even had his own organ shipped to Ireland for the performance. To ensure that the audience would be the largest possible, gentlemen were asked to remove their swords and women were asked not to wear hoops in their dresses. The takings from the concert were around £400 and each charity received about £127 which secured the release of 142 indebted prisoners. Why do you stand for Handel’s Messiah? Audiences typically stand only during the “Hallelujah” chorus. The reason for this has its origins in a legend that may or may not be true. The often repeated story is that King George II was so moved by the chorus during the London premiere that he rose to his feet. Because of protocol, the audience in attendance also stood and thus the tradition was born. However, many experts agree that there is no evidence that King George II was even in attendance at the premiere. Newspapers of the time did not mention his attendance and it would be unlikely they would leave out the detail of a royal presence. The first written documentation of this story was a letter written 37 years after the London premiere. The London premiere also received a rather cool reception unlike the Dublin premiere which was a hit. All of this has led to numerous debates and countless passive-aggressive battles between sitters and standers. Why is Handel’s Messiah so popular at Christmas? The premiere in Dublin was held in April and Handel himself associated “Messiah” with Lent and Easter. In fact, only one-third of the piece deals with Jesus’ birth and the Christmas story. So why is a piece that’s really an Easter work so popular during Christmas? Laurence Cummings, conductor of the London Handel Orchestra, once told Smithsonian Magazine that the custom may have come out of necessity stating that while there is so much fine Easter music like Bach’s St. Matthew Passion, there is little great sacral music written for Christmas. Regardless of the reason, “Messiah” has been a regular December staple since the 19th century, especially in the US. How long is Handel’s Messiah? Handel wrote the original version of “Messiah” in three to four weeks. Some accounts estimate just 24 days. We say “original version” because Handel rewrote parts to better meet the abilities of specific soloists and depending on availability of instruments. In 1789, Mozart re-orchestrated it to give it a more modern sound. The time it took Handel to write the work is amazingly short when you consider the score is 259 pages. NPR music commentator Miles Hoffman estimated that there are roughly a quarter of a million notes in it which means Handel had to keep a continuous pace writing 15 notes per minute. Typical performances of the entire “Messiah” are usually around 2 1/2 to 3 hours long. Why Do Orchestras Need Sheet Music? Would you like to receive reminders of our upcoming concerts? Subscribe below!